Go to the App Store to download MURAL for iPad and iPhone. 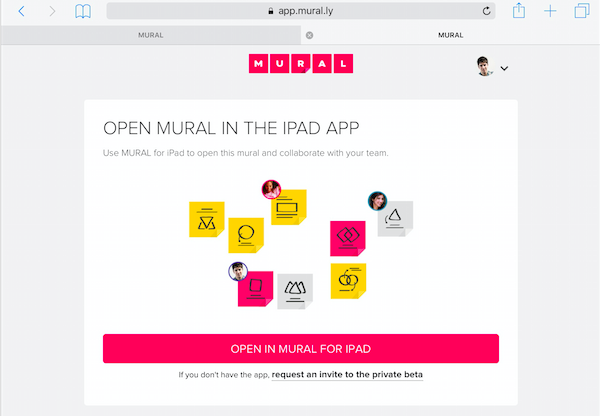 Open the MURAL for iOS app and enter your login information. Tap on a mural on the dashboard to open it. Select "Open in MURAL for iPad". The application will be launched in this mural. You can also access by clicking on a link to a mural. Drag and drop a sticky from the left part of the screen, or double tap on the screen. Double tap on a sticky to edit its content. 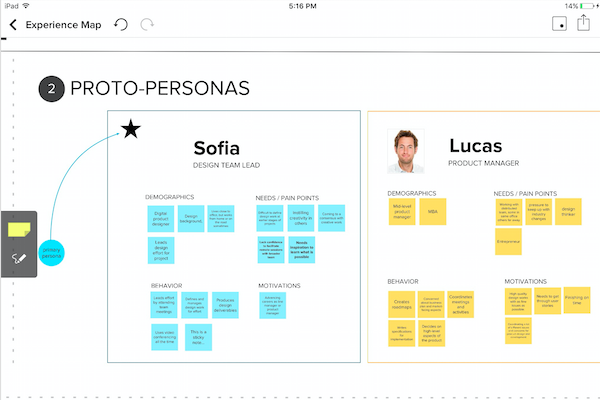 Choose between colors and border or switch between text and sketch mode. Tap once on a sticky to access the context menu. To move a sticky, hold down your finger on top of the sticky and move. Pinch with your fingers to zoom in and out on the mural. To pan slide with one finger over the screen. Select the pen in the left toolbar to enter draw mode. Use one finger to draw on the background of the mural, two fingers to navigate. When you are done with a drawing, tap the Done button in the bottom of the screen. All lines drawn before tapping the done button will be saved as one vector shape. To copy or delete an element, tap once to access these options in the context menu. To paste content tap once on the mural and select paste. To multiple select, Tap and HOLD + Drag over the elements. Share the invite link to with colleagues for them to join and collaborate. 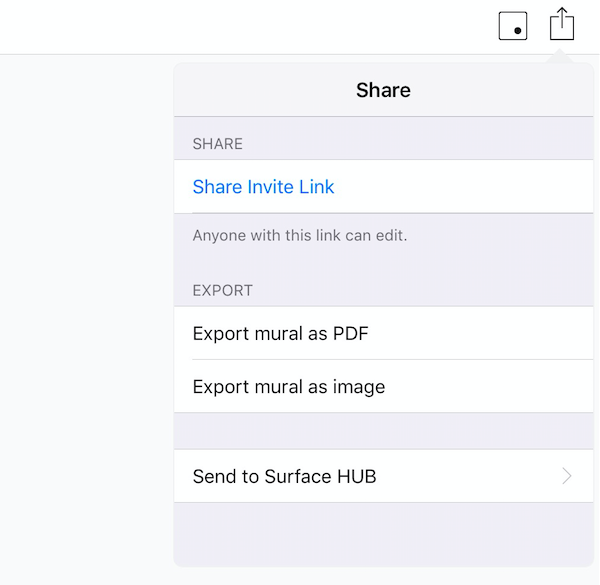 Export the mural as a PDF or image to review later. Select the "Voting" box in the top-right corner to start a voting session. Any mural member can vote from their device (from the web, iPad, Surface Hub, etc. 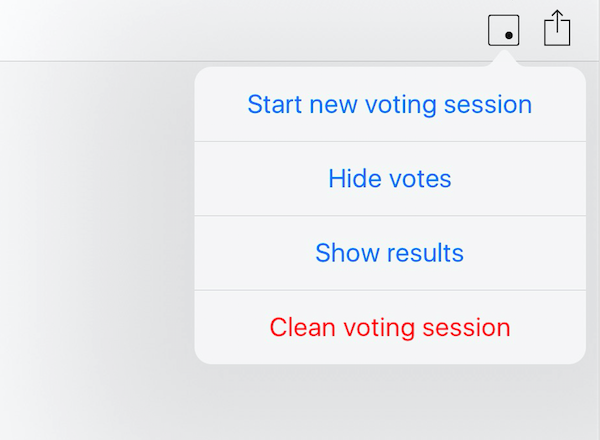 The same button can be used to end the session and view the most recent voting results, as well as to initiate subsequent multiple voting sessions.